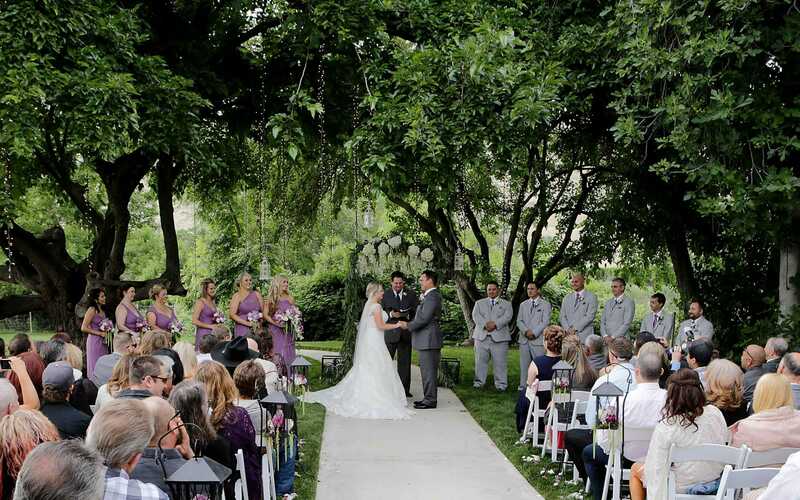 The Hollow is located at the bottom of the property and is surrounded by mature Mulberry trees that have branches that stretch out to create the atmosphere of a secret garden for your ceremony. This venue is a favorite among Hidden Hollow clients! The Hollow can accommodate 220 guests, provides shade for your guests, and is available year round.